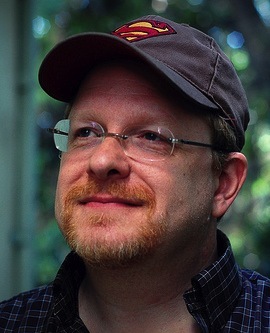 Having written some of the finest comic stories of all time (Kingdom Come, Flash, JLA, Daredevil, Superman), superstar comic writer Mark Waid turned his back on print in 2012 and declared his allegiance to the world of digital. Over the past 12 months he has established himself as the true godfather of digital comics, thanks to the launch of Marvel’s Infinite series, but also with his creator owned web portal Thrillbent and its lead title Insufferable. As one of the most high profile advocates of the brave new world of digital publishing we asked Mark the secrets to a great digital comic and where things are heading in 2013? What was the inspiration for setting up Thrillbent? Was it intended as way for you to write and publish the books you wanted to without relying on a major publisher? Or was it as a way to help dip your toe on the emerging world of digital comics? MW: Originally, the former–it was a reaction to the staggering print costs faced by smaller publishers that will probably only rise. And it was also to prove my conviction that the future of the market is the shift away from Big Distributors and towards a smaller economy that’s a direct link between artists and their audience. But honestly, as we began to pull Thrillbent together and I began producing more material, I got more into the actual content–into the process that enables you to tell a story differently in digital. Read the rest of the interview at: EXCLUSIVE! Mark Waid talks Marvel Infinite, Thrillbent 2.0, the future of digital comics and Kingdom Come the iPad app! | Pipedream Comics.